The Telangana state government has announced a new program to help people with driving and various jobs relating to the field of driving. The new Driver Empowerment Programme is available for SC/ST/BC and minority drivers in the state. It will provide them with skill training and help with job placement. It also works to support financial needs that people have when looking to purchase vehicles. The scheme will help to develop the industry and make it stronger. The programme is available to those from 21 to 40 years of age. Various additional points have to be followed in order to apply for the scheme. This will help people with managing a variety of services to make it easier for them to succeed. Even with this, there are problems from how the scheme could impact many businesses that are already operational at this point. A Class VIII or greater pass is required. This is to show the general educational experience that a person has in a particular field. The annual income of the household must be less than Rs. 1.5 lakh in rural areas or Rs. 2 lakh in urban regions. This is to support the financial needs that applicants hold. People do not necessarily have to take SSC exams but they are recommended. People who have taken the exams will be given preference regardless of their passing or failing scores. Various appropriate documents are required for the application. These include a driving license, a passport-size photograph and if possible a PAN card and SSC Marks Memo. The appropriate application form must then be filled out. Applicants can find the form at http://tsobmms.cgg.gov.in/driverEmpowermentRegistration.do. The documents listed earlier should be provided at this point. Online applications are the only ones being accepted at this point. Some documents will have to be scanned and sent out online to make it easier for the application process to be handled well enough. All images for the attachments to an application should be scanned carefully and be of a proper size. They must be from 50 to 1024 KB each. They must also be in a JPG format. This is to ensure that the application process will run smoothly and that there are no problems coming out of whatever might be used at a given time. A key part of the programme comes from how Uber is offering support to these drivers. Uber will help people with finding positions for taxi jobs among other tasks that entail transportation needs. The programme also helps by providing people with financial support for getting a vehicle that qualifies for work under the Uber Cab service. The jobs that will be available will help people with getting all sorts of employment potentials in mind. The jobs that are included entail a variety of appealing points that could make a real difference. This could help anyone with getting more money thanks to how demands for drivers from Uber are always high. Other cab companies like Ola are also expected to participate. The potential for people to get more money off of Ola ca driving services could be high. This would especially be the case in urban areas. 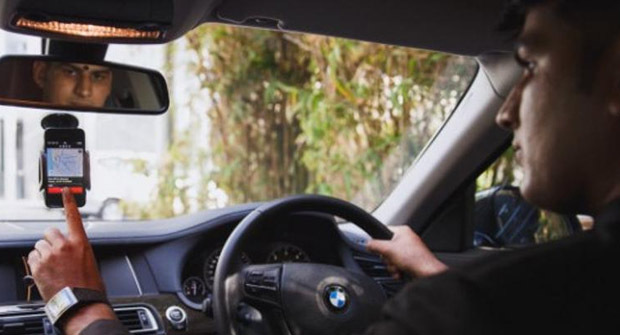 Although the Driver Empowerment Programme has become very popular and intriguing to many, there is a substantial amount of controversy involved. The Drivers’ Association is upset with how Uber and Ola cab companies are operating many functions in this scheme. They argue that by forcing people into getting new vehicles for cab purposes, it would be difficult for businesses to make profits. By using the scheme, there are concerns that there might be some substantial problems on the market. This includes issues where businesses will earn less money. They feel that it would be unfair to be difficult. This could be a significant problem and as a result is leading to real disputes. Information on how much money would be provided for the cabs has not been released though. This means that there is still a chance for people to potentially get more money off of their cabs even after spending a small amount of money. The chances that come with handling funds right could certainly be an intriguing point for all to look carefully into. The Driver Empowerment Programme should help with making it easier for different kinds of driver to work well. The potential for a person to get a job with one of many cab companies around India is significant and could make a difference. People should still ensure that they have the proper materials and experience on hand to apply to qualify for the scheme.